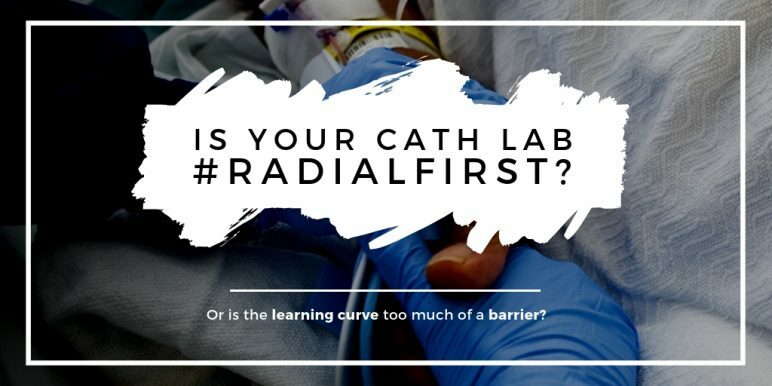 A popular hashtag among cardiologists on Twitter, #RadialFirst hopes to promote the adoption of transradial access for cardiac catheterization and percutaneous coronary intervention (PCI) in cath labs across the world thanks to a deepening evidence base of positive outcomes. The evidence shows that transradial access is associated with reductions in bleeding, vascular complications, and time to ambulation compared with a femoral approach. However, while the adoption of the transradial approach is increasing in the United States, the approach is not as widely used as it is in Europe, Canada and Asia—perhaps due to the challenges in the approach’s learning curve. So, what is the current state of the transradial approach in the United States? That is the question a new comprehensive literature review from the Duke Clinical Research Institute, published in Cardiovascular Innovations and Applications, set out to answer. On Wednesday, November 1, results from the Objective Randomized Blinded Investigation with Optimal Medical Therapy of Angioplasty in Stable Angina (ORBITA) study were published in The Lancet. Without further knowledge, the debate may start right here—the New York Times article had little in the way of medical detail to satisfy invasive cardiovascular professionals and may have further generalized results in a misleading manner. But let’s hold off on reacting, look at the debate surrounding this particular study and also place the findings in a wider context (part two). Note: this isn’t the first time it has been suggested that stents are overused. A new joint report released today by the American College of Cardiology (ACC) and the American Heart Association (AHA) offers practitioners and stakeholders ten evidence-based quality and performance measures to prevent sudden cardiac death (SCD). The American Heart Association reports more than 350,000 out-of-hospital cardiac arrests (OHCA) occurring in 2016 with only 12 percent of people surviving to hospital discharge. These approximate statistics suggest more than 308,000 sudden cardiac deaths per year. Sophisticated statistics in medical research can be hard to translate to layman’s terms, and when they are, these common misinterpretations can be downright misleading. 1. Odds ratios don’t express relative risk. In 1999, media reports resulting from a study published in the New England Journal of Medicine wrongly suggested that black patients and women were 40 percent less likely than white patients and men, respectively, to undergo cardiac catheterization. The study’s authors had used odds ratios to describe the significance of their findings—a common practice among statistically sophisticated researchers—which showed that black patients and women were definitely less likely to be referred for invasive procedures than white patients and men, but not how much less likely.